From farm-fresh coffee to lush volcanic hillsides, this tour is full of Costa Rica’s finest. 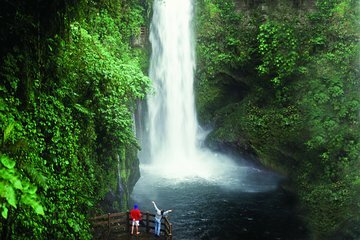 Explore alongside your guide to get a local perspective on some of Costa Rica’s famous wildlife and scenery, including the La Paz Waterfall Garden and Poaz Volcano. This all-inclusive tour comes with breakfast, lunch, transportation, and entrance fees for a hassle-free day trip.